If you saw how I organize my kitchen on my new home tour series you know that we just finished remodeling our main level. 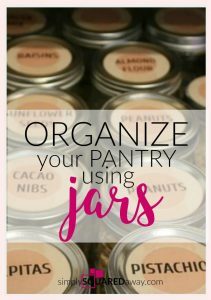 I want to show you how to organize your pantry using jars and labels. 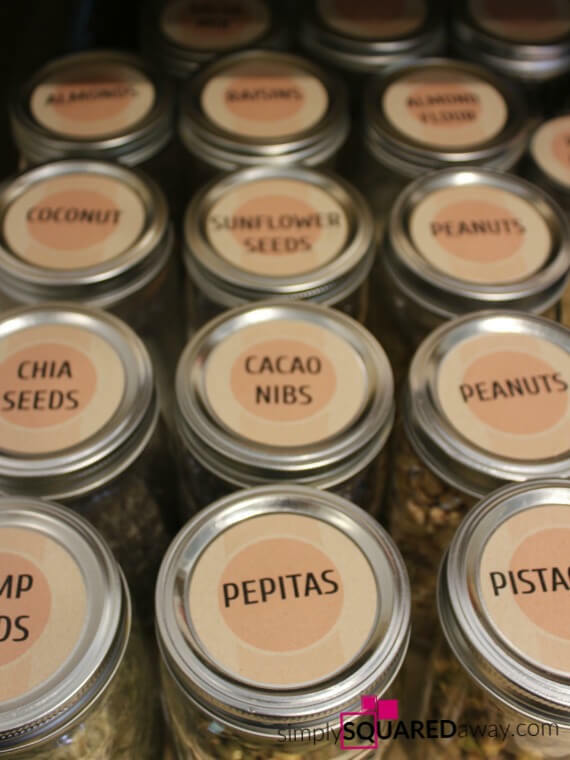 This is how I organized my pantry drawer to make it functional and cute. I put all the healthy-type food on the left side of this drawer. 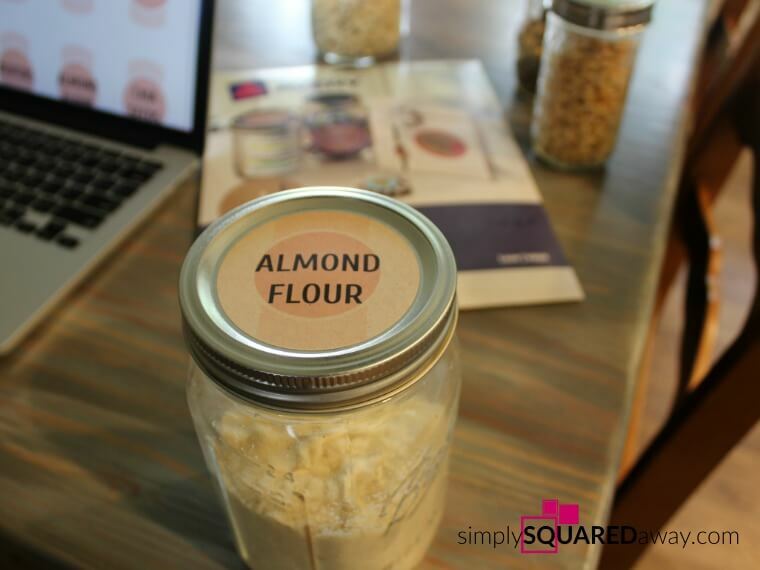 There are nuts, seeds, coconut, and other stuff I bake with or add to smoothies. If you know me, you might describe me as practical. 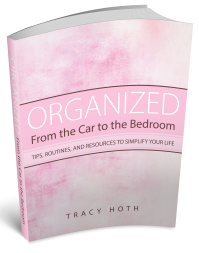 I’m not the best at making my organizing look super cute, but I generally can find what I need (except on my computer!). 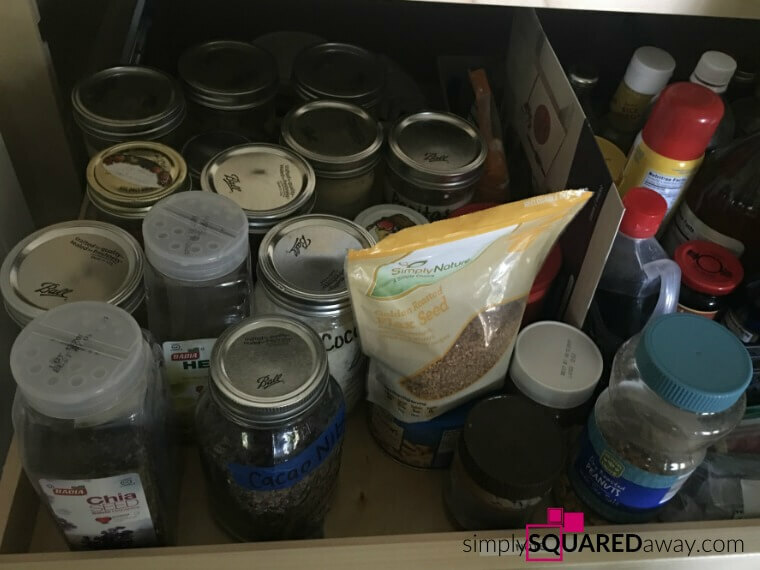 At the same time I didn’t want my pantry drawer looking like this (photo below) either. My desire was for it to be organized AND look cute. 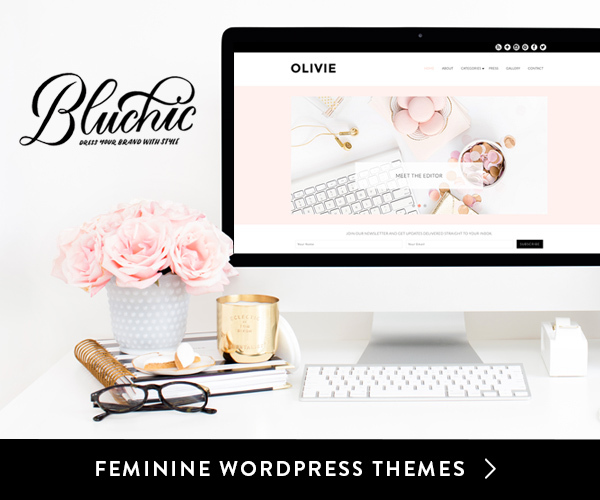 I want it to look visually calm with pretty labels, but also be functional – easy for me to instantly see what ingredient I need to grab. I liked the idea of using jars because the ones I had were working well. 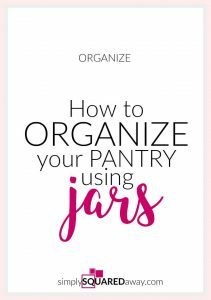 Jars – These are the exact ones I used. 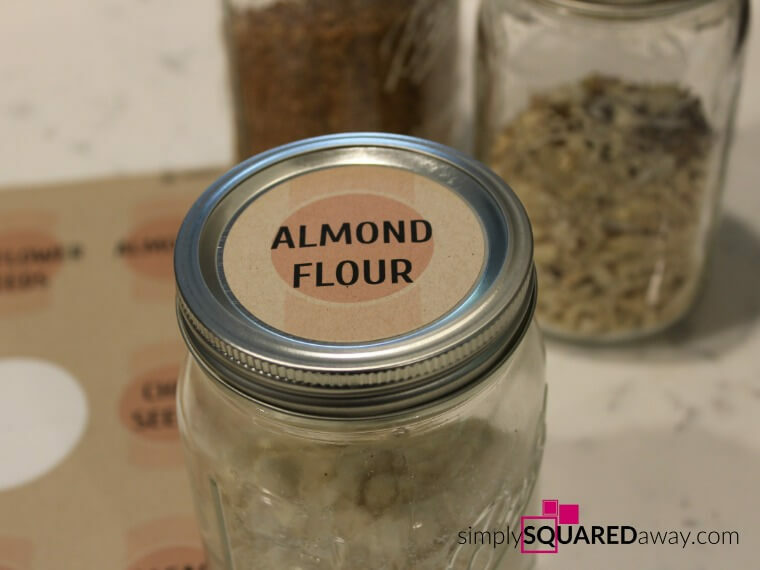 Labels – Round labels – I used these Kraft Brown. 1. 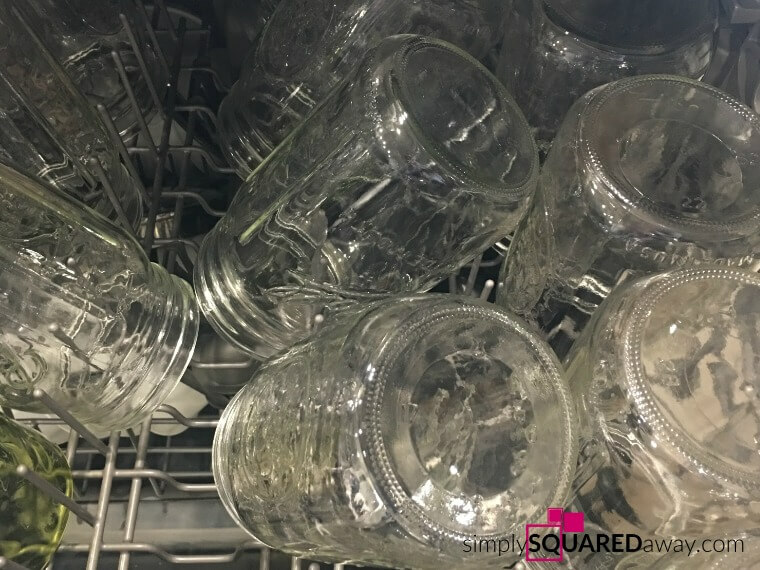 Wash jars and thoroughly dry. 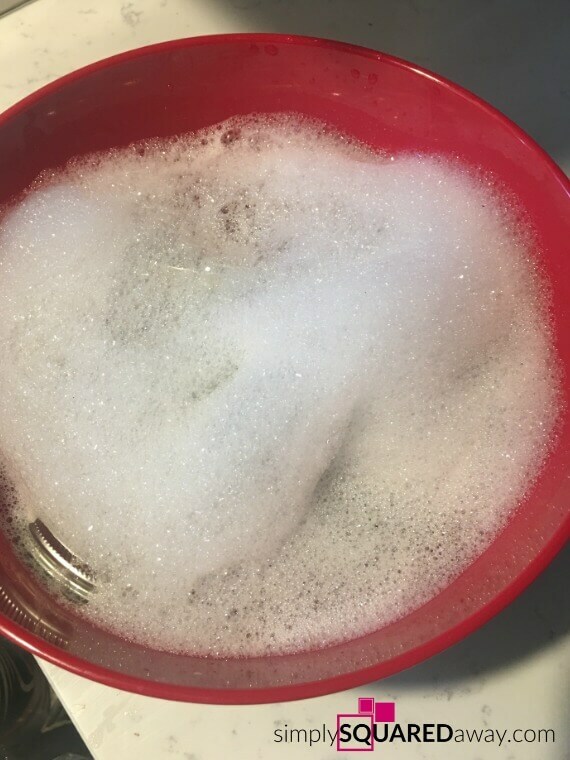 I washed the jars in the dishwasher. I hand-washed the lids so the dishwasher wouldn’t dry out the rubber seals. These labels fit the lid perfectly. I found this blush pink Avery label template online that I liked, but they had a lot to choose from. 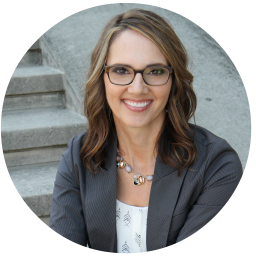 Then, I chose “edit each one” (instead of making a whole sheet of one label), typed in the names of the items, downloaded it, and printed them out. The first sheet did not print well. Only the middle label was centered on the stickers. All the others were crooked or only half on the sticker. I was stumped – disappointed. I went to my printer and pushed the sheets to make sure they were in as far as they could go. Then, I printed the second sheet of labels. This time they were all perfectly centered. I don’t know how it happened, but I reprinted the first sheet again and it was perfect, too! Yay! 3. 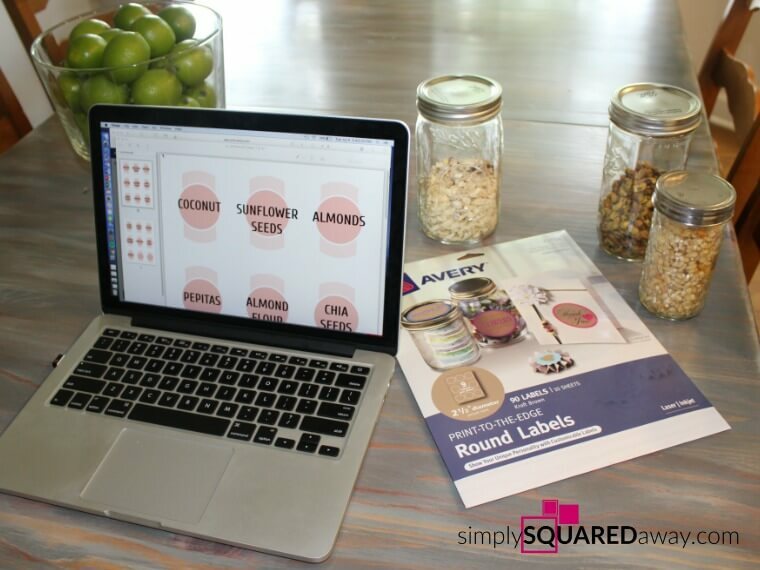 Place stickers on jar lids. This is the fun part. I put all the stickers on the lids. 4. 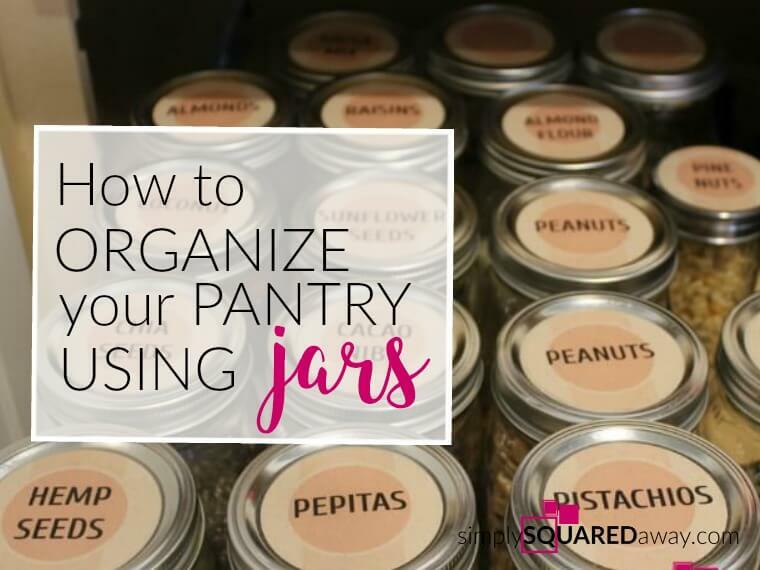 Place jars in pantry. After I cleaned the pantry drawer, I put the jars back in trying to put what I use the most in the front. Isn’t it cute? 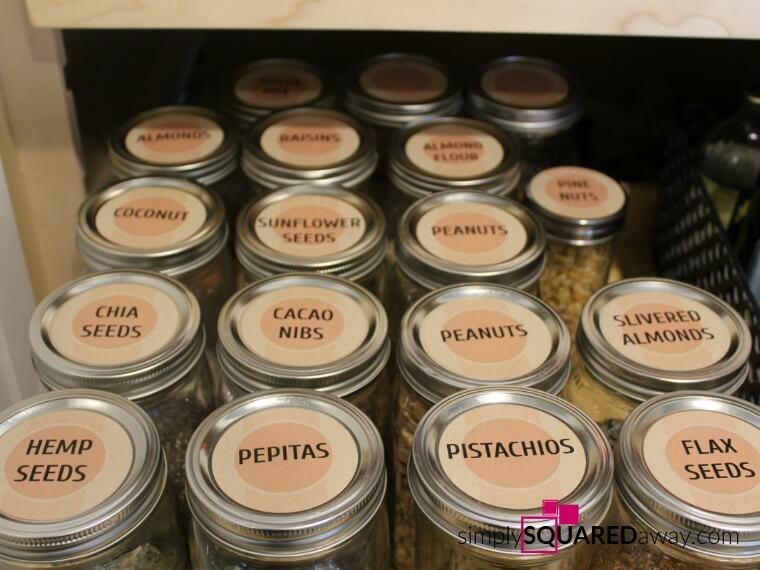 Have you found anything that you love to organize your pantry?